The natural way to healthy, beautiful skin; Natural immix Honey and Bee Pollen Soap can help reduce skin dryness by acting as a residue free moisturizer. 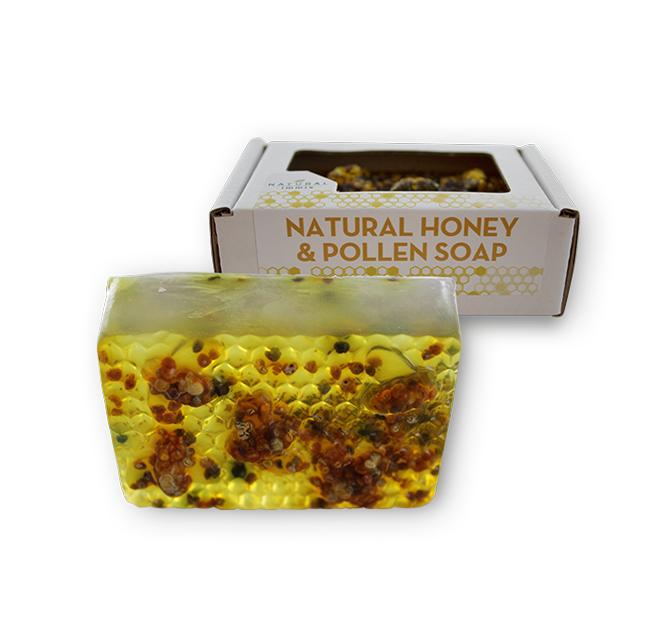 First discovered in Thailand, people realized how valuable bee pollen soap can be as a skin care product. Based on feedback of those who have used it as well as results of clinical laboratory testing, this remarkable soap can help skin feel naturally soft and smooth, minimize wrinkles and other signs of skin aging and prevent the development of acne. It easily produces a rich lather but can quickly rinse away as well. The bars contain no over bearing added scents, are GMO free and contains no alcohol, no detergents or sulfates nor sugar solutions, is not tested on animals, gluten free and bio-degradable.